In their penultimate game before the NBA’s All Star Break, the Clippers (33-21) travel to Salt Lake City to take on Gordon Hayward and the Utah Jazz (34-21). Can Lob City close out the road trip with win? With a victory, the Clippers would leapfrog the Jazz and climb to fourth place in the Western Conference standings. Despite winning 16 of their previous 17 games against Utah, tonight’s matchup will certainly test LA’s mettle. Tonight’s game will be televised on FSN Prime Ticket at 9:00 PM (EST) / 6:00 PM (PST). 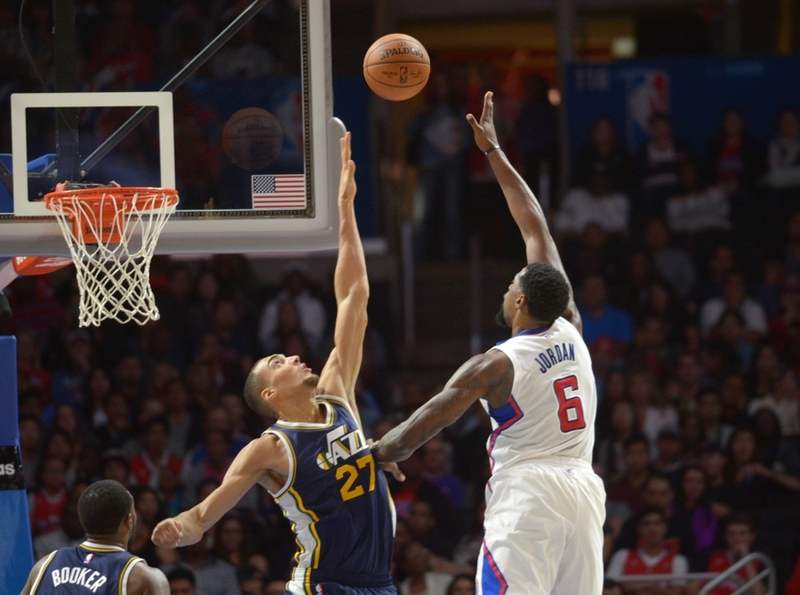 Tonight, centers DeAndre Jordan and Rudy Gobert will be in the spotlight. This season, Jordan and Gobert are the only players that rank in the top-8 in the NBA in rebounds, blocks and field goal percentage. Jordan is shooting a league-leading 69.4 percent from the floor, but Gobert is hot on his tail, shooting 64.5 percent (min. 15 games played). Jordan has a slight edge on the boards, pulling down 13.7 rebounds per game versus Gobert’s 12.6 rebounds per game. On defense, Utah’s center has been the better rim protector this season (averaging 2.5 blocks per game as compared to Jordan’s 1.7 blocks per game). With their primary focus on the battle in the paint, the Jazz will undoubtedly struggle to contain DJ’s partner in crime. In Saturday’s contest against the Charlotte Hornets, Blake Griffin compiled 20 points, 12 rebounds, and 8 assists, finishing just shy of his seventh career triple-double. 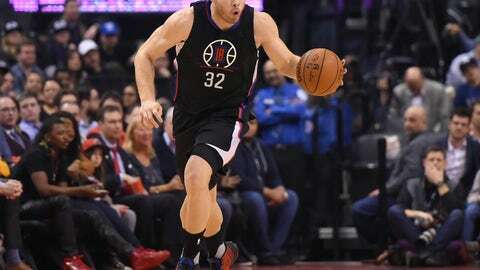 Since returning to the lineup, Griffin is averaging 24.1 points, 8.9 rebounds, and 5.3 assists per game. 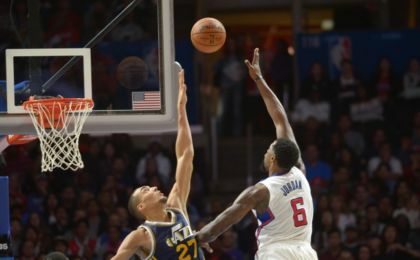 When the Clippers matched up with the Jazz in October, Griffin recorded an 18-point, 10-rebound double-double. Without point guard Chris Paul (thumb), Griffin will need to step up as a distributor this evening. Utah Jazz forward Gordon Hayward has tallied 30-plus points in four of his last five games. Slowing down the 6-foot-8 swingman will be a top priority for the Clippers. Although small forward Luc Mbah a Moute has the frame to match up with the former Butler Bulldog, defending Hayward demands a team effort. Utah will be hungry for a win, as the Jazz are looking for their first home win against the Clippers since Jan. 17, 2012.